Disclosure: Some of the products in this article have been provided to us by the manufacturers. As you know: I’m keepin’ it real and tell you how it is - I maintain full editorial control of the content published on Hiking in Finland. Read the Transparency Disclaimer for more information on affiliate links & blogger transparency. I admit that #FuckCarsRideBikes is probably the best Hashtag I have invented. I dislike cars as they illustrate what is wrong with our cities & towns: Everywhere we have multi-lane streets so that thousands of people who sit alone in their car can drive from A to B. What’s wrong about this is that the distances these people drive ALONE in their cars is statistically less than 5 km, or the distance which most of the readers of this blog hike in an hour in the hills or would be able to ride on a bike in 20 to 30 minutes. Add in that nowadays seemingly every other car driver is distracted while checking his or her phone, our ageing societies mean that there are more people who are physically less able to drive safely, and the emissions from cars which are bad for our health and you start to realize that we need to get rid of the majority of cars in cities and towns. That that is possible and that one can thrive without a car and get everything done is what I want to show today, and hopefully encourage you to ride more on your bike and drive less in your car. Statistically most people use their cars for journeys of three to five kilometre in length, which if you think about it, is insane. 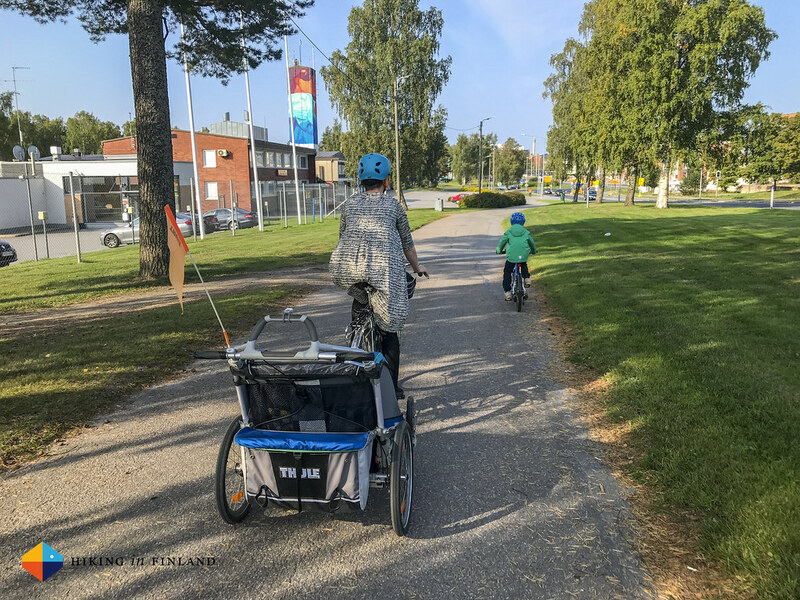 I ride with my kids, with the trailer behind me and my son on his own bike, in 15 minutes to the centre of Vaasa, which is about three kilometre away from our house. Pretty much all of it is on cycling lanes, and in the centre there’s dozens of parking places for bikes so one never needs to ponder “Where do I park?”. It’s also free! If the weather is poor hardshells come on - living in a coastal town (= lots of wind, 🌬💨 all the time) means we are used to wearing a wind jacket when we go outside - and when you arrive at the Café, Restaurant or school you take it off. No problem! This is not some kind of magic that only we can achieve. Most people have very short commutes and can do all of it by riding a bike, and did I mention that being on a bike is healthy and fun? I at least always feel very happy when I can ride my bike. I think the biggest hurdle to those who drive with a car everywhere is that they think that they can not cycle. The truth is - if you have learned to ride a bike, and own a bike, then you can bicycle. 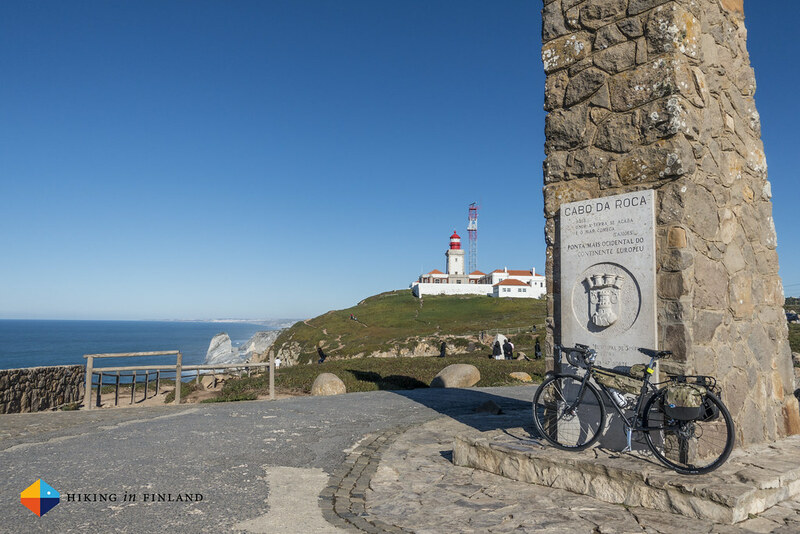 No one is expecting you to win the Transcontinental Race or going Downhill mountain biking but you likely just want go to the Café or to the beach. You also don’t need to sell your car and go all in, but gradually try what you all can do by bike. Cycle to work two days a week, instead of taking the car to the gym take the bike to go grocery shopping, and if you want to go out and meet friends why not go cycle to that lovely Café instead of taking the car? If you slowly phase out the use of a car you’ll see that going by bike everywhere is easy - and not just for adults, also kids love to ride their bike. 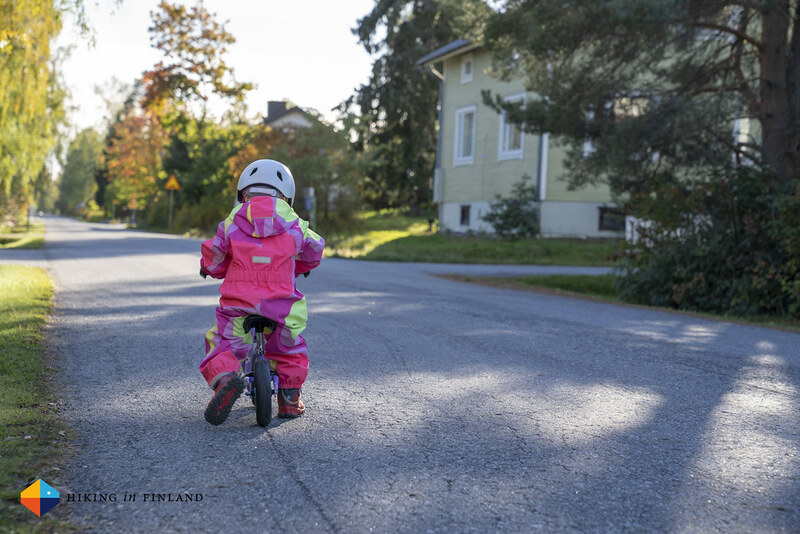 The smile my 3 year old daughter gives me when we cycle together is amazing, and while this obviously only are short distances like going to the Kindergarden, the playground and the library bus, it still allows her to get used to cycling. For longer distances she sits in the Thule Chariot, which is also great to transport stuff. And if it doesn’t fit on the bike or in the trailer I take the bus or use a Taxi. By not owning a car we save a minimum of 400€ per month on car-related expenses, and that are even in Finland quite a few Taxi rides. Now I have been talking so much about our bikes - time to take a look at them! I have written before about my Pelago Stavanger which I am now riding since five years. 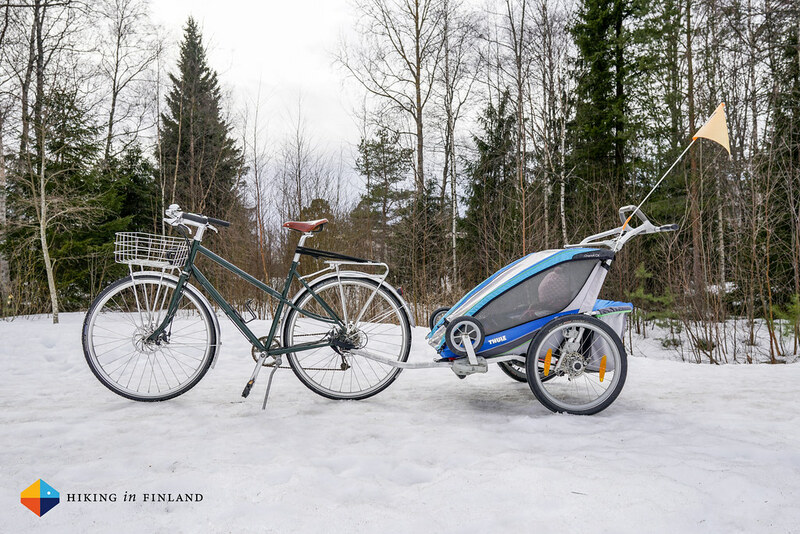 I bought for my wife some years ago a Pelago Airisto which she loves, and with both of these bikes we can pull the Thule Chariot 2 where our daughter sits and rides with us. 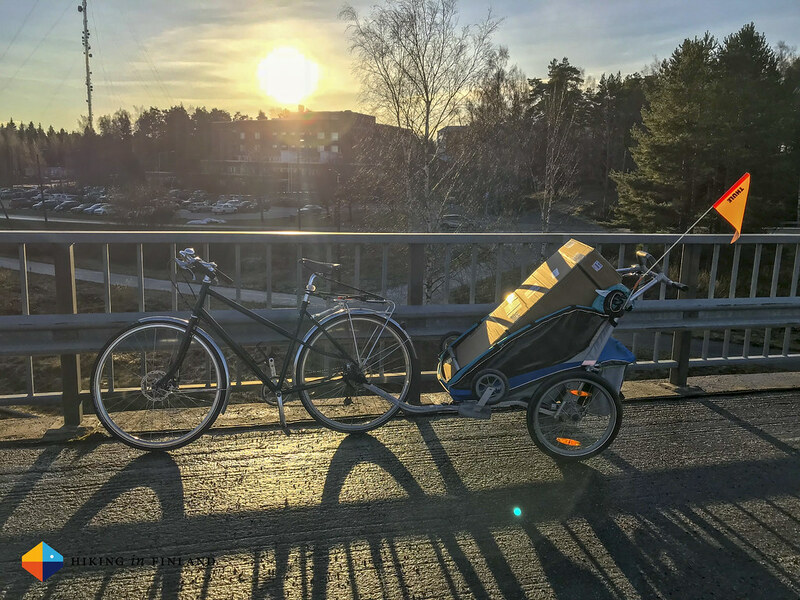 The Airisto is a fantastic bike and I got my wife the front basket as it makes transporting things so much easier. 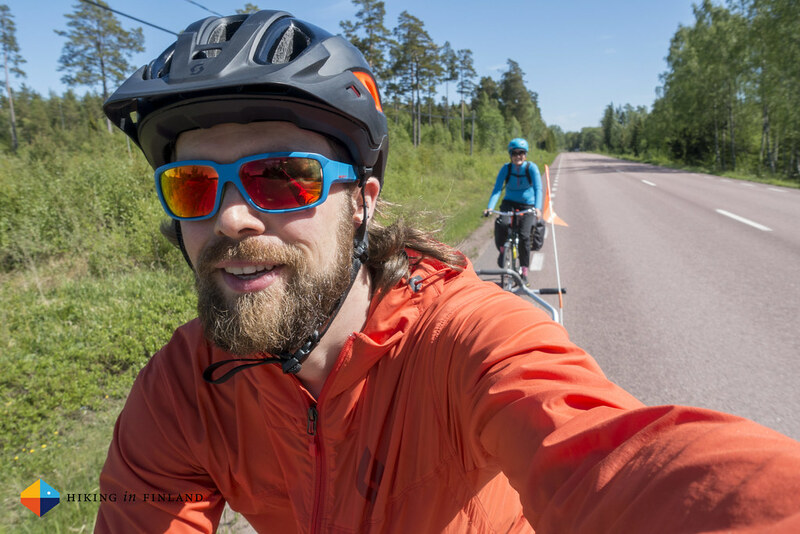 The Airisto also performs well for bike tours - we cycled for a week on Åland with these bikes and had a lot of fun. Our son is on his fourth bike, and since about a year he is riding the woom 4 children’s bike which has been his best bike to date. It’s not just light and grew with him, it also has 8 gears which made cycling up hills and in winter a lot easier. The bike handles very well (especially if compared to his older bikes) and it’s a pleasure to see him ride his bike proudly and having fun. 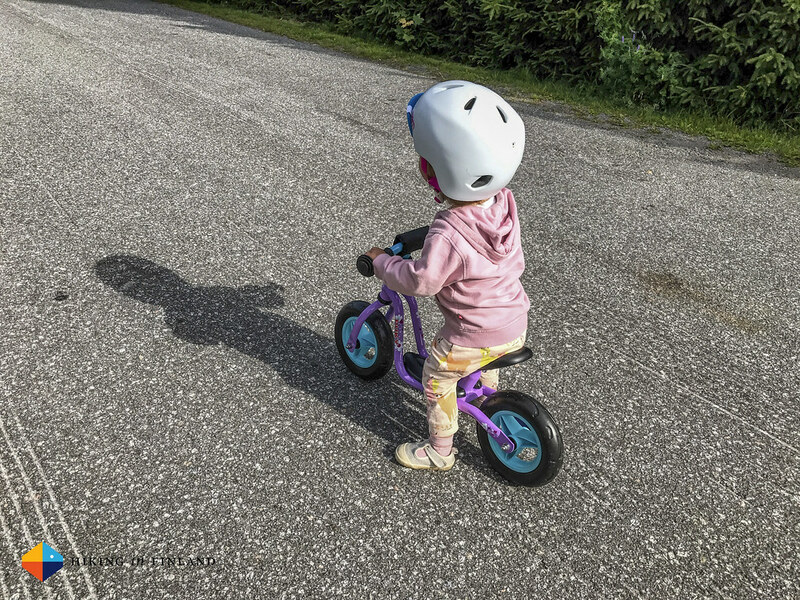 A good bike which is the right size and easy to use makes all the difference in getting a child being willing to ride a bike year-around, from spring till winter, and the woom 4 certainly has made it easier for us parents to go cycling together - because the bike works flawlessly. 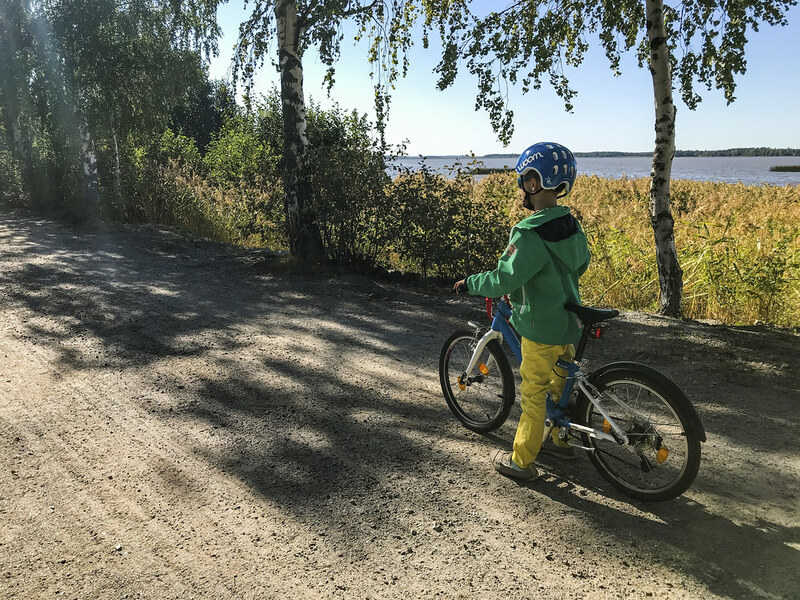 We also have cycled some longer rides around Vaasa with him, and thanks to his woom bike he’s able to cycle up to 20 km without a problem. 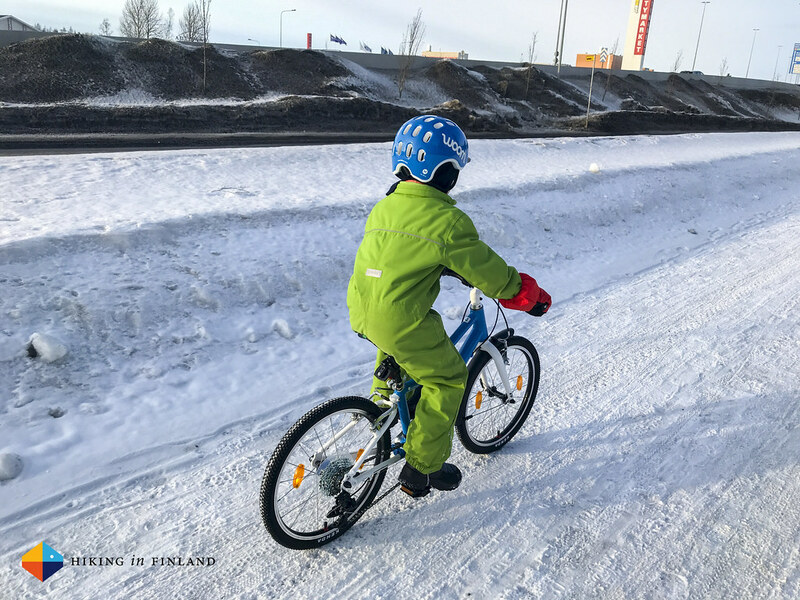 Our son is wearing the woom Helmet which is good, though it’s not really made for the cold weather of Finland and the width adjustment knob broke in the middle of winter - we have been using the Helmet now in the max. size, which is either way what we needed. It’s a light and well-ventilated helmet and stands up to daily use. 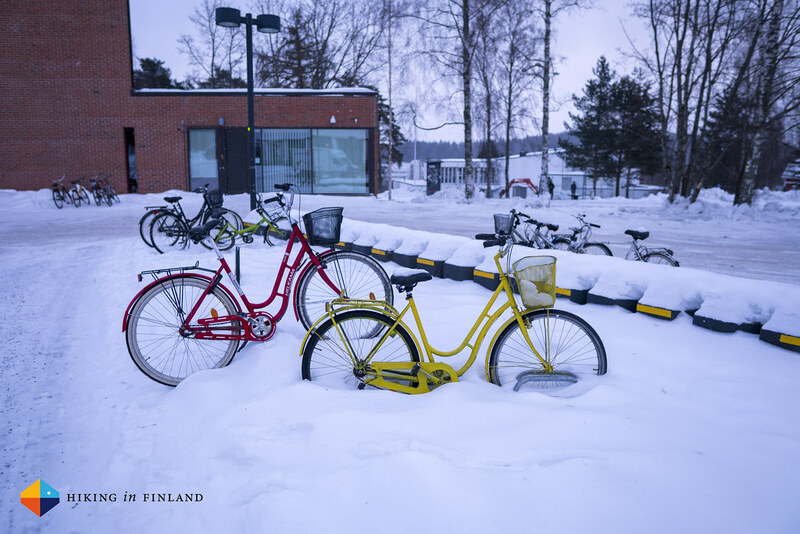 Similarly the woom bike lights had a battery which had problems coping with the Finnish winter, it only worked on a charge for a day or two max and then needed recharging, though I imagine this is not a problem in warmer climates. And we also got the easy to use woom chain lock. 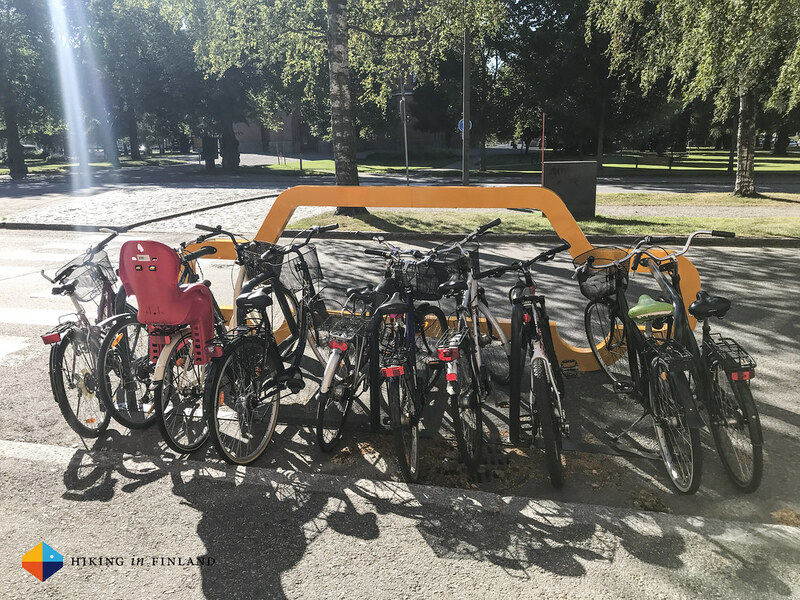 You can put in your own code (and can change it easily, too) so that way the bike can always be securely locked when at school or in town. 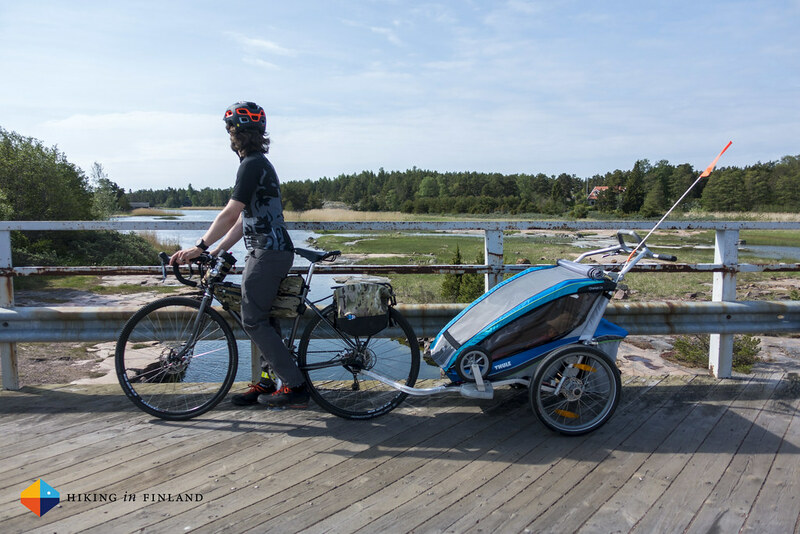 The Thule Chariot 2 is an amazing trailer and honestly the most important piece of cycling gear for a family with small kids which wants to rely less on the car. 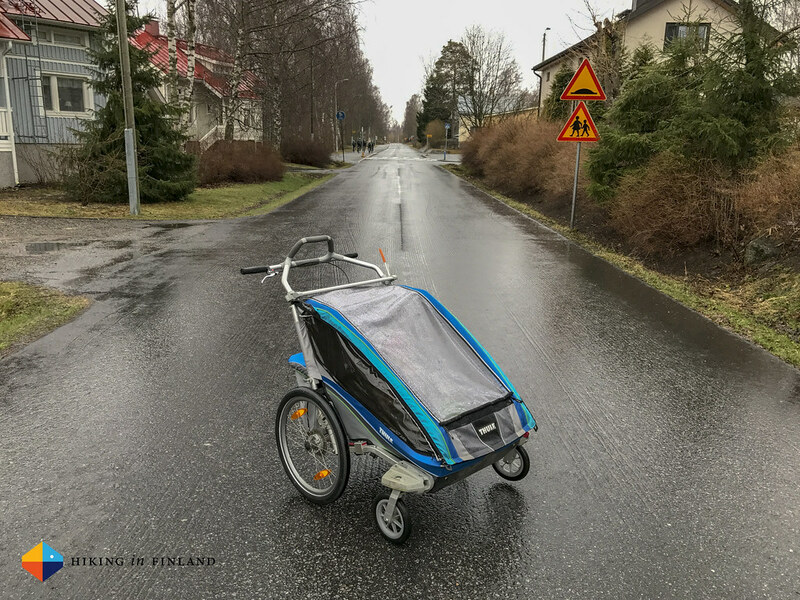 The Chariot 2 has allowed us to transport both kids at the same time when they were younger, we can use it to transport large packages and it makes grocery shopping a breeze as you can fit a child and the groceries for a week in it with room to spare. 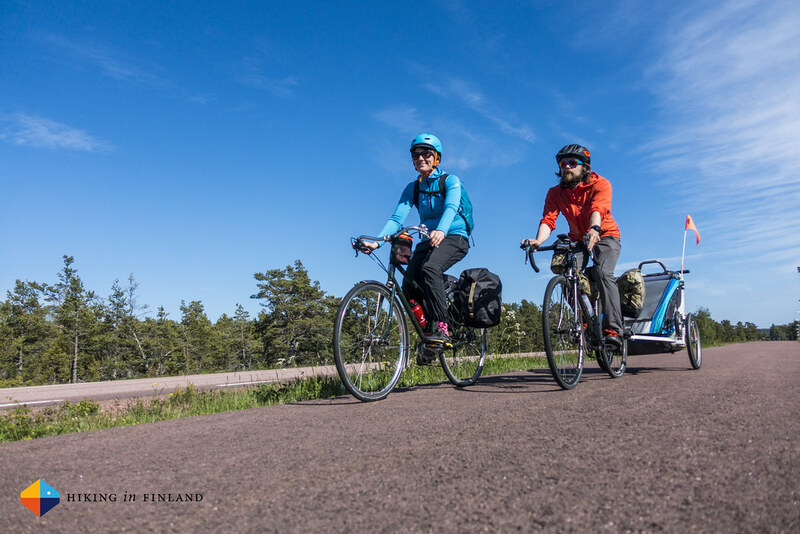 We also have travelled with the bikes and the trailer on Åland which was an amazing trip which combined the bikes, train and ferry for a lovely week of cycling in the Archipelago. 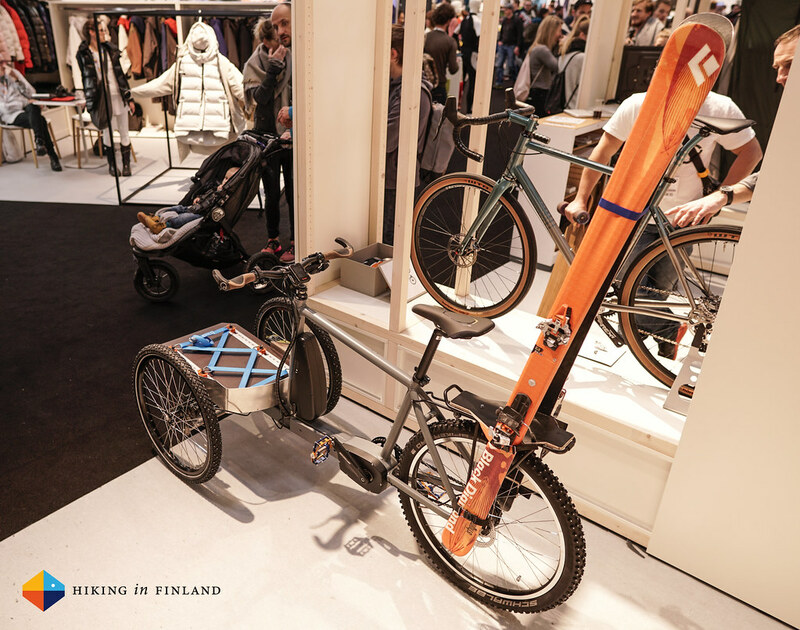 The Thule Chariot also has flown with us when the kids were smaller, as it can be converted into a pram in one minute (or a sled if there’s enough snow!). 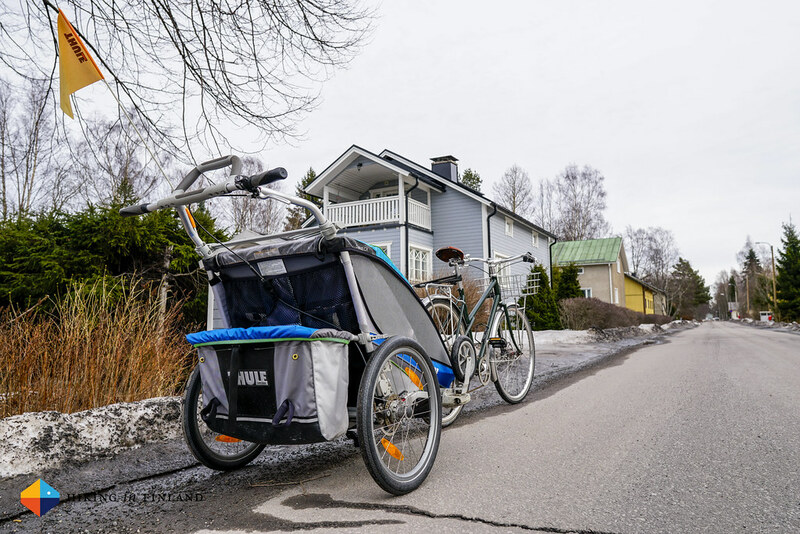 This really is an amazing piece of equipment which is integral to our family not having a car, and I can foresee that even when our 3-year old daughter is old enough to cycle herself that we might keep the trailer for a while as it is so damn easy to transport large things with it. Speaking of transporting, my Trek 920 Disc has been an amazing bike for both transporting, urban commutes, fun rides and adventures. 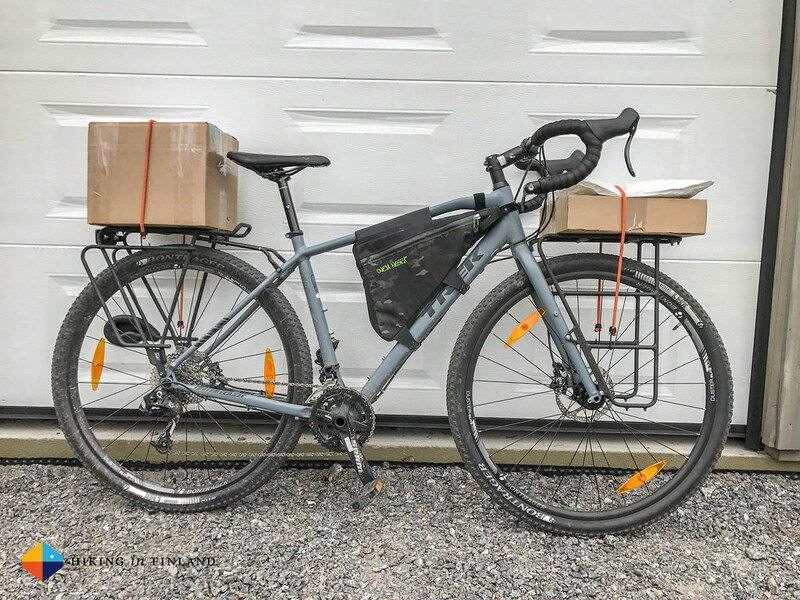 I can transport an unreasonable amount of stuff on it thanks to the two racks, and especially the front rack is one of the best things on a bike, ever (Seriously, if there’s one thing you should get for your bike it is a front rack!). I love this bike and even more after I made it tubeless two years ago. If it would allow me to pull the Thule Chariot I probably would own only this one bike. And then there’s the kick bike which our kids used when they were small. We had a Puky kick bike for both kids, and our daughter has been riding it since she was 1,5 years old. 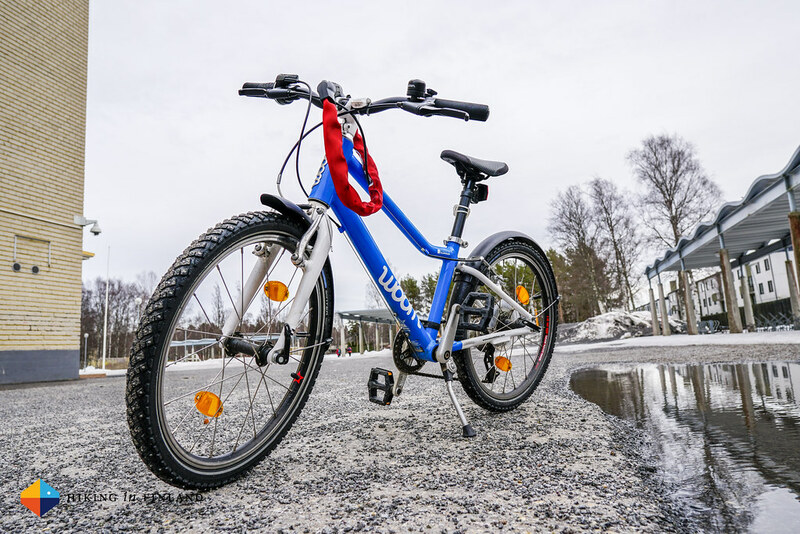 It’s something she really enjoys a lot and she is pretty good at it, and when we go to the playground, for a walk or to the library bus she takes the kick bike as that way the longer distances are no problem for her. 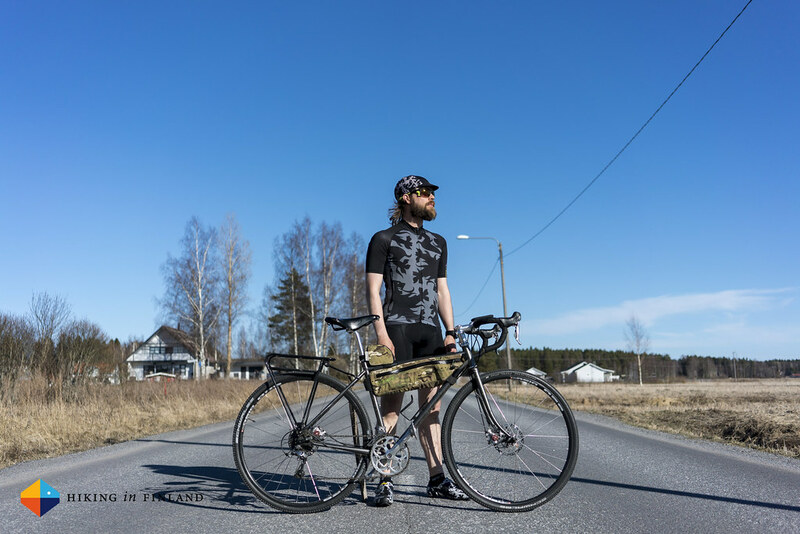 Riding our bikes in any weather - from damn slippery roads to the rain and hot 30°C days - needs a little planning garment-wise, though as you’re likely a backpacker or skier you have everything you need to ride in any climate. 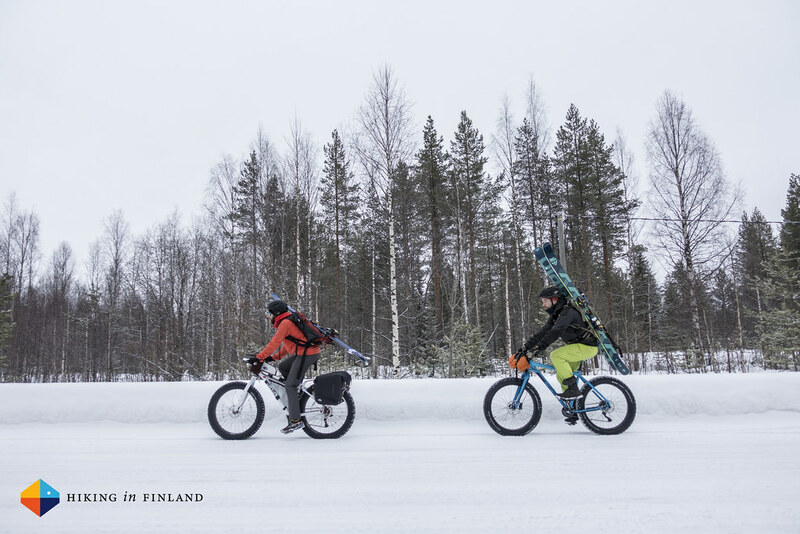 We just use our hiking garments for cycling, the most important thing is that they have a good freedom of movement. A wind or rain jacket and a rain pants are needed in foul weather, while in the summer we cycle in shorts and T-shirts. 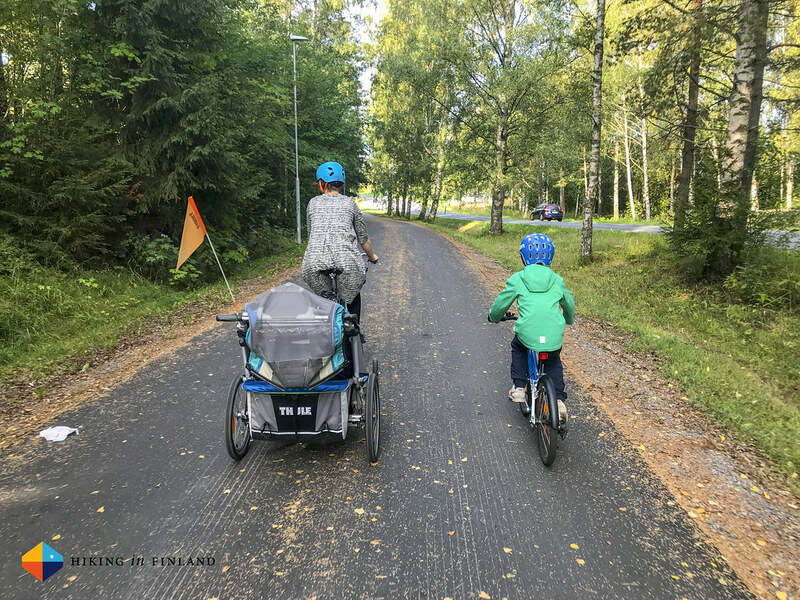 My wife and kids use a Helmet while I only use one on long bike rides - because it’s OK to not wear a helmet, as bicycle lanes make cycling safe and not a helmet. 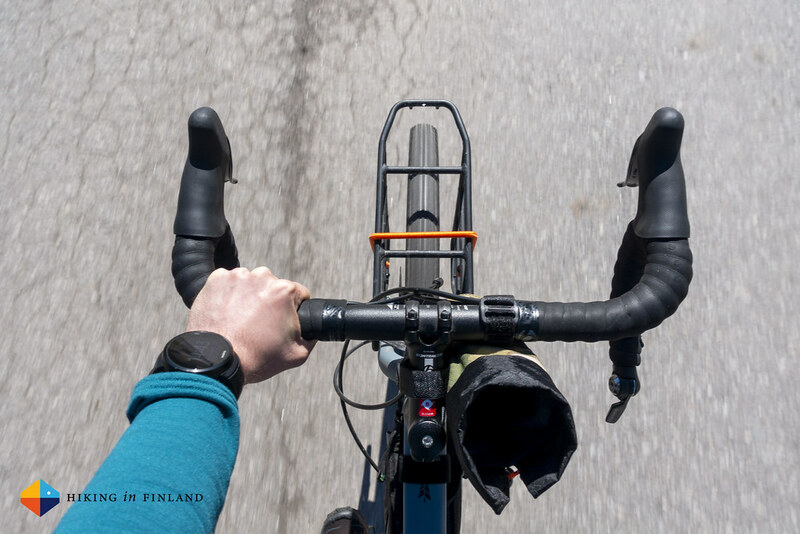 Windproof gloves make sure your hands don’t freeze solid (they’re also recommended in windy summers as warm hands make cycling a lot more fun). That’s really it what ones need to transporting oneself from A to B by bicycle - yes there’s lots of fancy things one can add to the bike but a basic bike, some gloves, maybe a helmet and depending on the weather a wind or rain jacket are all that is needed. 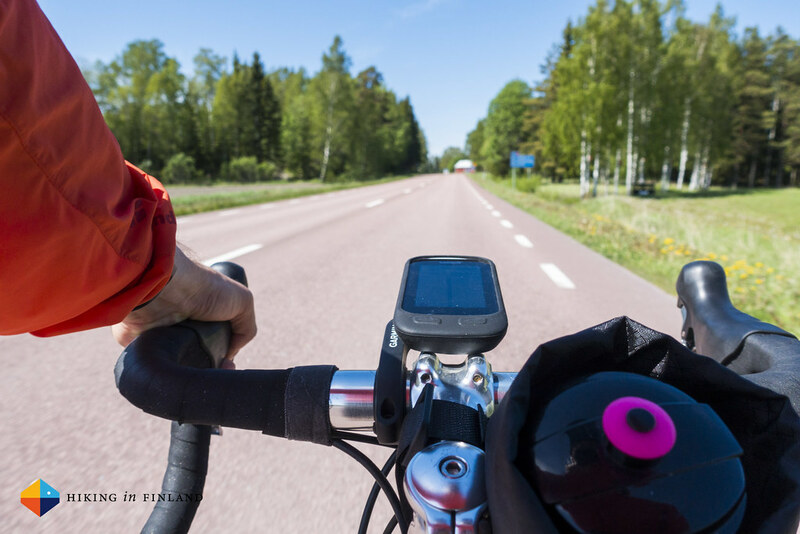 In the future I’ll write more about useful accessories for cycling, but that’s not the focus of this post! If you can not be without a car - because you actually life far away from civilization - I would encourage you to at least not drive alone. Share a car with a neighbour or two, drive together, make less trips and if your car is old get a car which is fuel-efficient or is an electric car. Generally, sharing the car and driving together makes the use of a motorized vehicle more acceptable. Alternatively you could try a e-Bike as these allow you to go a bit faster and further without too much of your own muscle power, or have a look at something like the Arcimoto if it needs to be a vehicle. I hope you see it is easy, fun and healthy to not drive everywhere in a car and that using the bike for transportation in an urban environment makes a lot of sense. There’s no searching for a parking spot, you don’t need to go to the gym, you’re outside at the fresh air and are having fun. 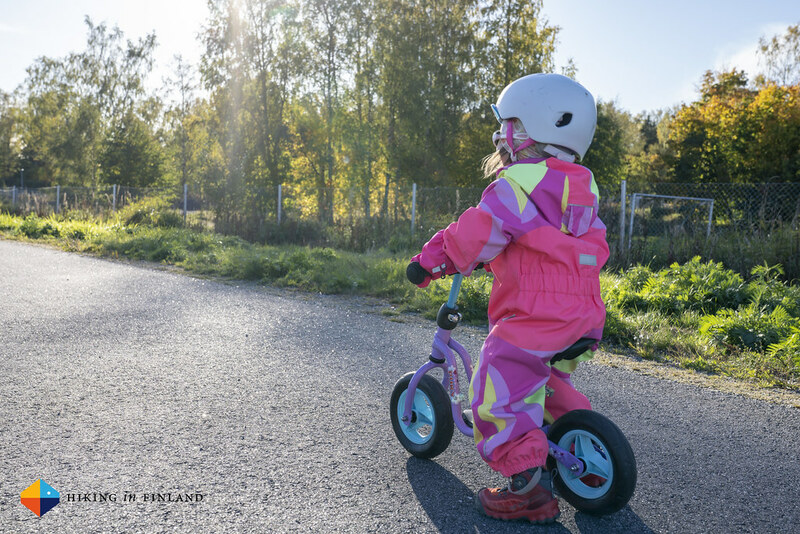 Having good bikes for the kids and getting them used from an early age to cycling helps to instil a happiness to bicycle everywhere in them, and also makes them more independent as you as a parent don’t need to drive them everywhere. 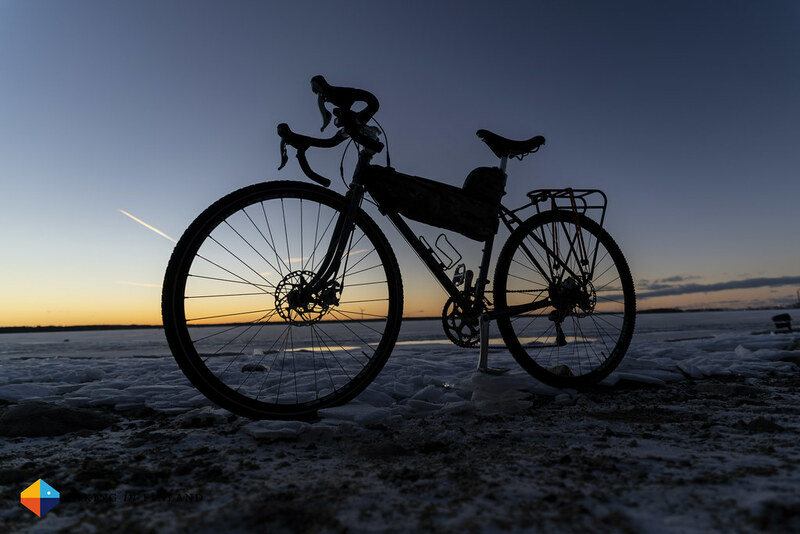 So in conclusion I hope that you now, with the beginning of spring, try to cycle more! After all - it’s fun, healthy and allows you to be more outside, and isn’t that what we all enjoy the most? !